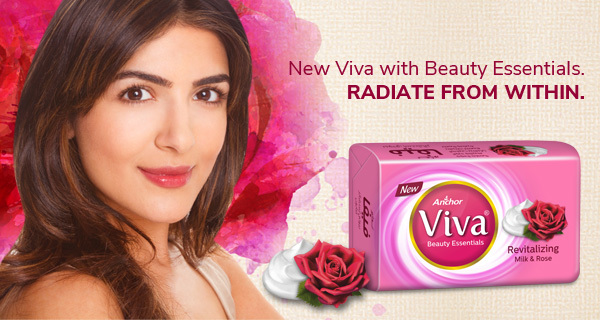 New Viva beauty soap is enriched with beauty essentials. Its great quality, hand-picked ingredients and long-lasting fine fragrances make your skin radiate from within. Enriched with milk & almond, new Viva keeps your skin nourished and healthy. Its goodness gives your skin a natural glow and its long-lasting fragrance makes for a soothing bathing experience. Packed with lime’s freshness and aloe vera’s nourishment, new Viva revives your skin for a radiant and youthful look. Its long-lasting fragrance makes for a zesty bathing experience.